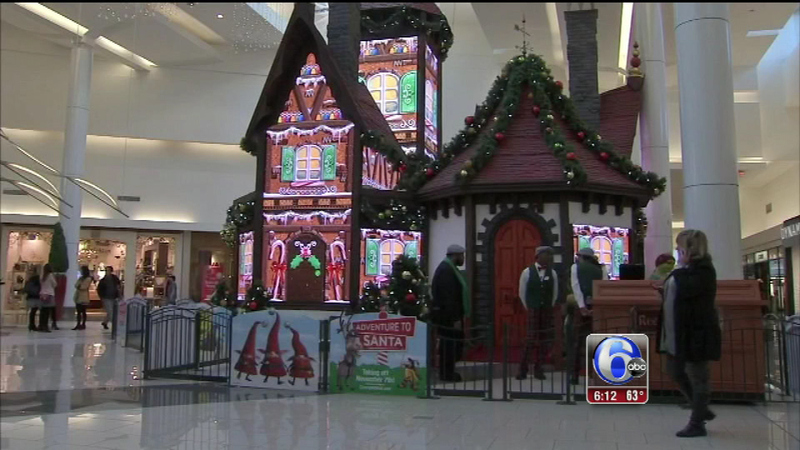 The visit to Santa's lap is a holiday tradition, but when, for the second year in a row, the Cherry Hill Mall decided to give shoppers a unique, high-tech Santa experience, including Shrek, social media went wild and not in a good way. The issue was the price. This year, the mall started charging $35 to $75 to see jolly old St. Nick. Gail Giampietro's post on Facebook was typical: "It's an absolute disgrace that you are charging so much money to get in to see Santa." Outside the mall the feeling was the same. "I don't think people should be charged for Santa Claus. It's Christmas. Come on, what's the real meaning?" Sherine Green of Cherry Hill said. The "Adventure to Santa" attraction is one of only 12 like it in the country; it's part of an effort by malls to entice shoppers. Mall management was surprised by the negative reaction. "We never want anybody to feel like they're excluded or they can't come here," Ashley Delson of the Cherry Hill Mall said. But the mall got the message and on Monday afternoon dropped the required pre-purchase of a photo package. "You can come in and visit with Santa for free. You'll no longer have to make a minimum photo package purchase and you can just visit with Santa instead," Delson said. Children like Gianna Del Campo and her sister paid to see the North Pole attraction prior to the policy change and thought it was worth the price. "I like when you go in the sled; it's like you're actually moving in the sled," Gianna Del Campo said. Still, shoppers we spoke with were glad to hear seeing Santa is free again. But again, if you do want photos or a video of the experience you'll pay the $35 to $75 which we found to be comparable to photo packages at other malls in the region. One more note: If you want to see Santa at the Cherry Hill Mall, you need to go online and make a reservation prior.